Nobody likes the effects of bowel cleansers--severe diarrhea--but the bowel must be clean to evaluate its health, according to German gastroenterologist S. Schanz. In the United States, gastroenterologists rely on sodium phosphate or polyethylene glycol cleansers, according to Cleveland Clinic gastroenterologist Ashish Atreja and colleagues. 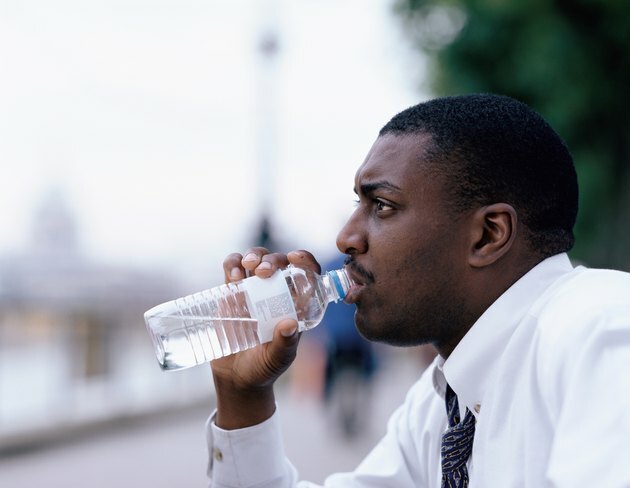 Many people risk dehydration from bowel cleansers, causing fluid loss of 2 to 3l, according to Atreja, who says patients should consume at least a liter of clear fluid the day before the colonoscopy, in addition to the bowel cleanser. This is hard advice to follow--but it's important. Sodium phosphate--NaP--is a laxative in tablet form that pulls water into the colon to clean it out, according to Atreja, who says the retained water in the colon stimulates bowel movements. Visicol and OsmoPrep are the two oral sodium preparations in the United States, according to the Food and Drug Administration. An FDA alert in 2008 warned that some patients, such as patients older than 55 or those with kidney disease or colitis, using NaP were at risk for a serious kidney injury known as acute phosphate nephropathy. The National Guideline Clearinghouse points out that this solution should be avoided in patients who are dehydrated or have delayed bowel emptying as well as those taking nonsteroidal anti-inflammatory drugs or angiotensin-converting enzyme inhibitors. NaP is taken with either clear fluids or ginger ale. Atreja says liquid polyethylene glycol--PEG--solutions clean the bowel out with their high volume of solution. There are four types of PEG solutions, according to Atreja. First are standard 4 l volume solutions sold as GoLYTELY and Colyte. But many patients dislike the taste and the high volume they must drink, and up to 38 percent won't drink the entire solution because of nausea, vomiting and bloating, according to New York gastroenterologists Lawrence B. Cohen and Christina Tennyson. Next are flavored and sulfate-free solutions that taste better than the standard solutions, according to Atreja--sold as NuLytely and TriLyte. Third are low-volume solutions produced to decrease gastric bloating, according to Atreja, such as HalfLytely. MiraLAX is another low-volume solution. These solutions are taken with bisacodyl tablets. Last is a PEG solution that includes ascorbic acid, known as MoviPrep. Astreja says some doctors use divided doses of the standard solution, such as having the patient drink 2l the evening before the colonoscopy and 2l in the morning. In a study by gastroenterologist R.Z. Unger and colleagues at Indiana University Medical Center, 300 early-morning patients were asked if they would get up at night to take the second dose; 85 percent said yes and later 78 percent said they did take the second dosage, a high rate of compliance. Side effects with PEG solutions are rare, but include nausea by itself or with vomiting, pancreatitis, colitis, cardiac dysrhythmia and abdominal pain. In addition to the primary cleansers NaP or PEG, doctors may order supplemental adjuncts such as magnesium citrate--a liquid--or bisacodyl tablets to the cleansing regimen. These purgative drugs alone cannot sufficiently clean the bowel but can aid the cleansing process. Sometimes an enema is needed to clean the bowel sufficiently so the colonoscopy can be performed. Diagnostic and Therapeutic Endoscopy: Bowel Preparation for Colonoscopy with Sodium Phosphate Solution versus Polyethylene Glycol-Based Lavage: A Multicenter Trial.